Poolside Cantina located in Tempe, Arizona. 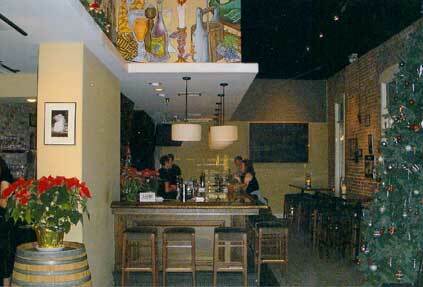 Sorso Wine Bar is located in the Scottsdale Quarter. View more images. 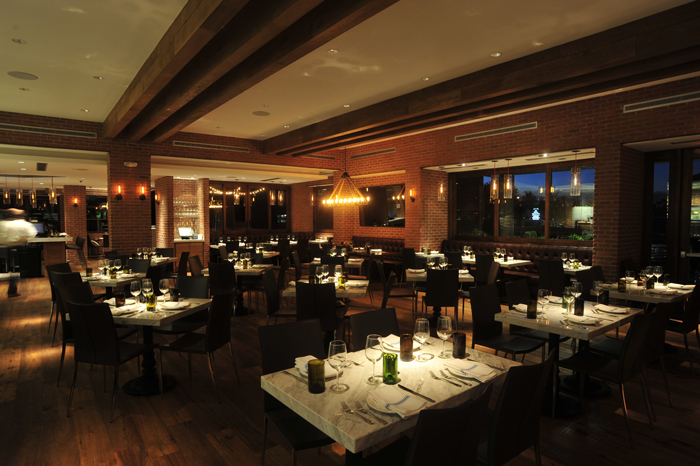 Building complete on The Graduate Hotel renovation in Tempe, AZ. View more images. 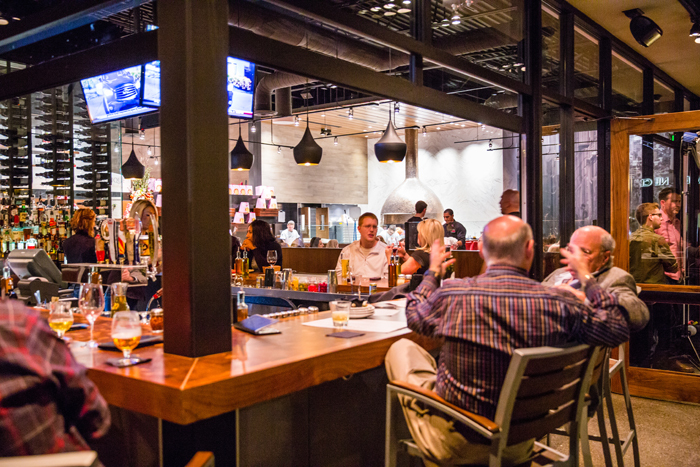 Pomo Pizzeria & Forno Fabbri in two locations – Phoenix and Scottsdale. Click here for more photos of Pomo Pizzeria & Forno Fabbri. 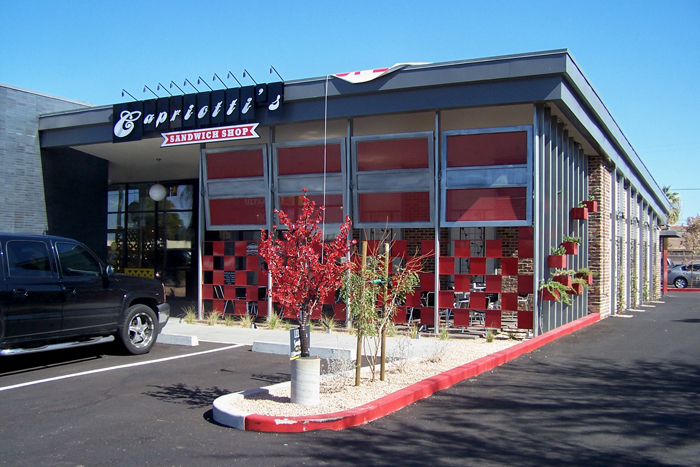 Capriotti’s build out at 16th Street and Bethany Home Road in Phoenix, Arizona. 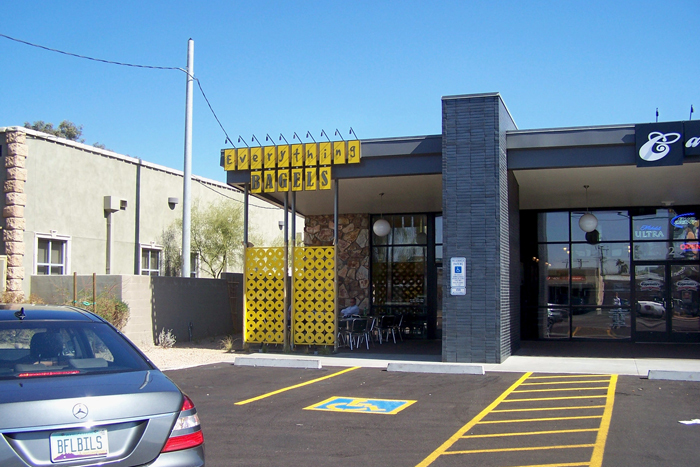 Capriotti”s/Everything Bagel build out at 16th Street and Bethany Home Road in Phoenix, Arizona. 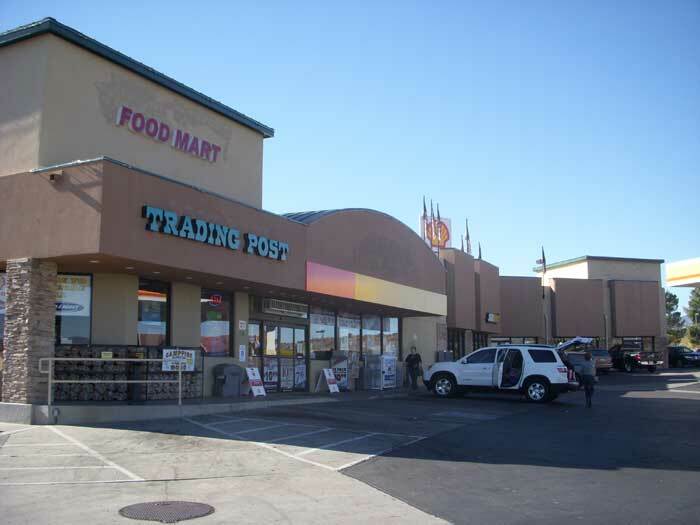 Complete remodel and expansion of convenience store, trading post and food court. 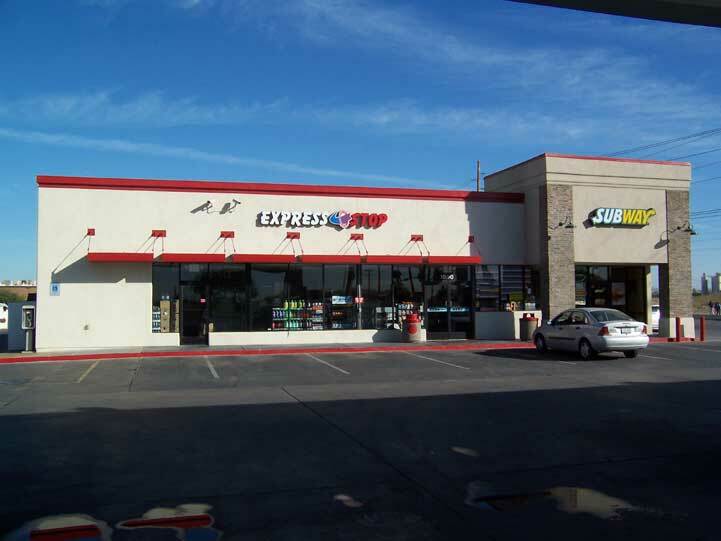 Complete building renovation and expansion of convenience store and Subway. 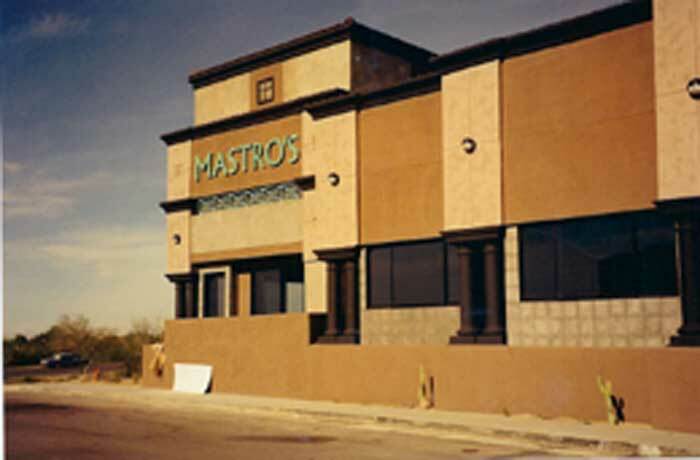 A complete build out from the ground up for Mastro”s Steakhouse. 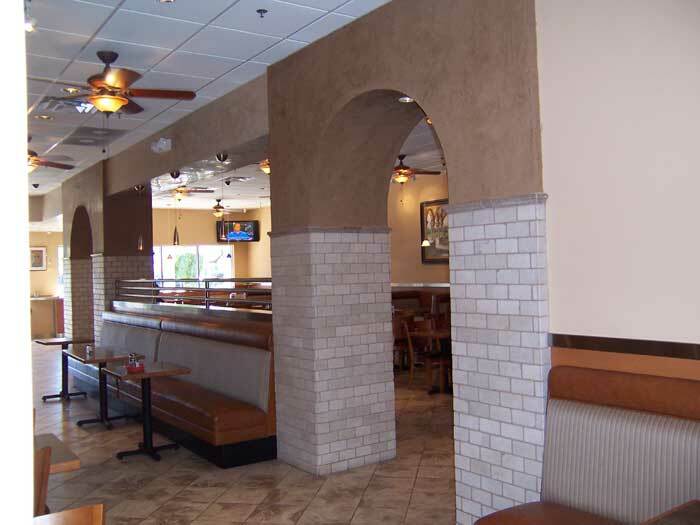 Newly remodeled and expansion of Famous Ray’s Pizza in Scottsdale, Arizona. 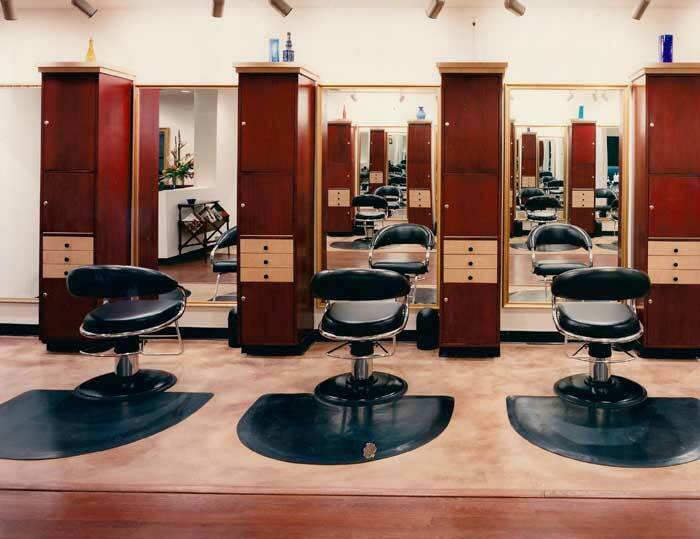 New modern construction for Picasso Salon in Terravita Shopping Center. 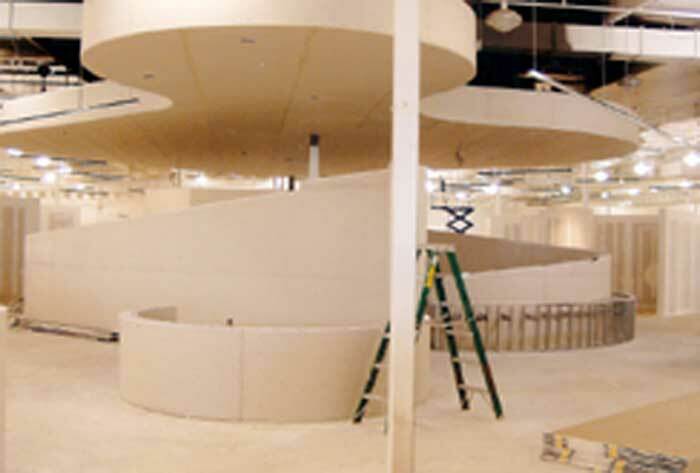 During the construction phase at Simply Artrageous in Scottsdale, Arizona. Complete renovation in historic building.